Large old conch shell beads. Tibetan Om mantra "Om mani padme hum" inscribed on each bead. 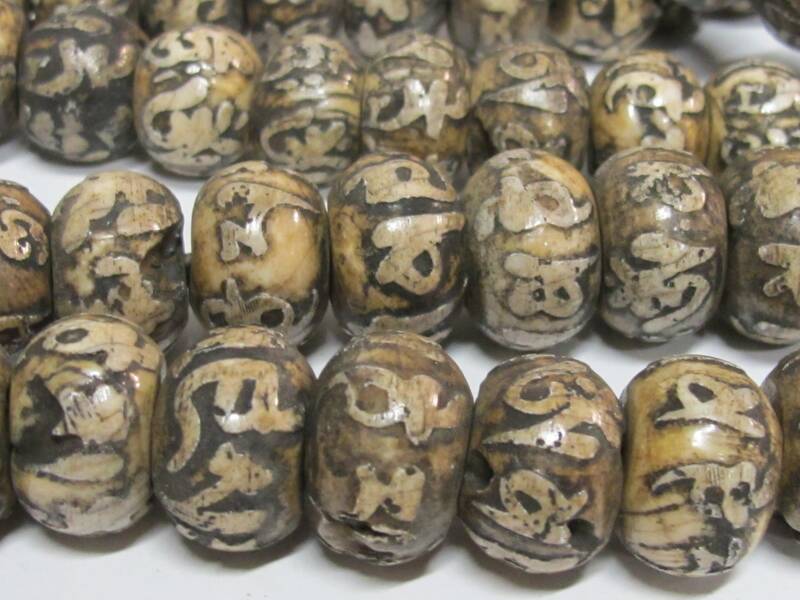 These are natural material beads hence no two beads will be exactly same. 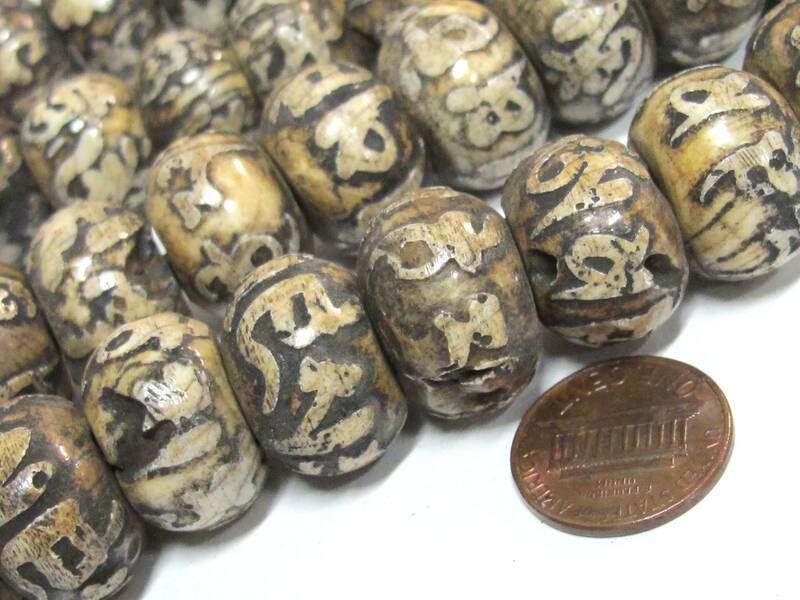 These are old beads - nice size. Some beads are pitted , some beads have weather markings . 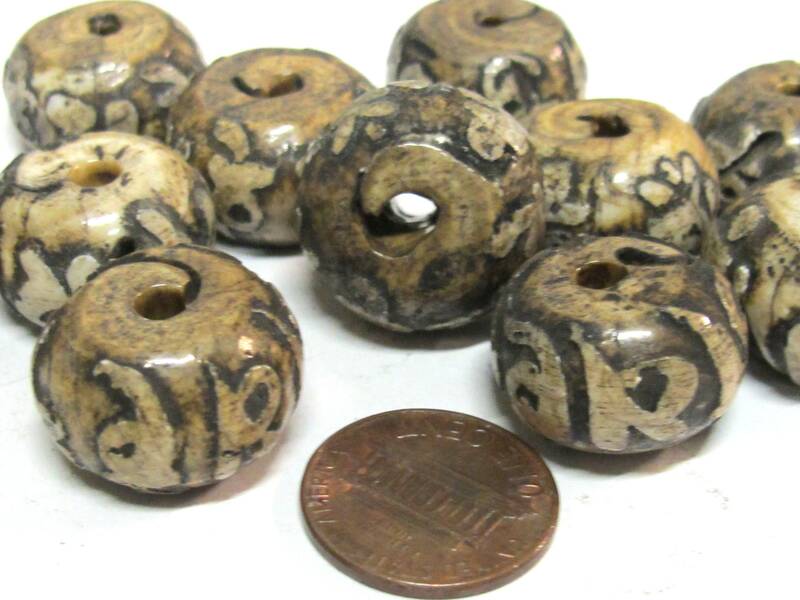 Tones/natural fissures/lines on each bead may naturally vary from the other.